Although I painted this tractor mural in London, Ontario, I also sell farm wallpaper murals that ship FREE within Canada and the USA. They’re super simple to hang and are totally removable when you’re ready to redecorate. 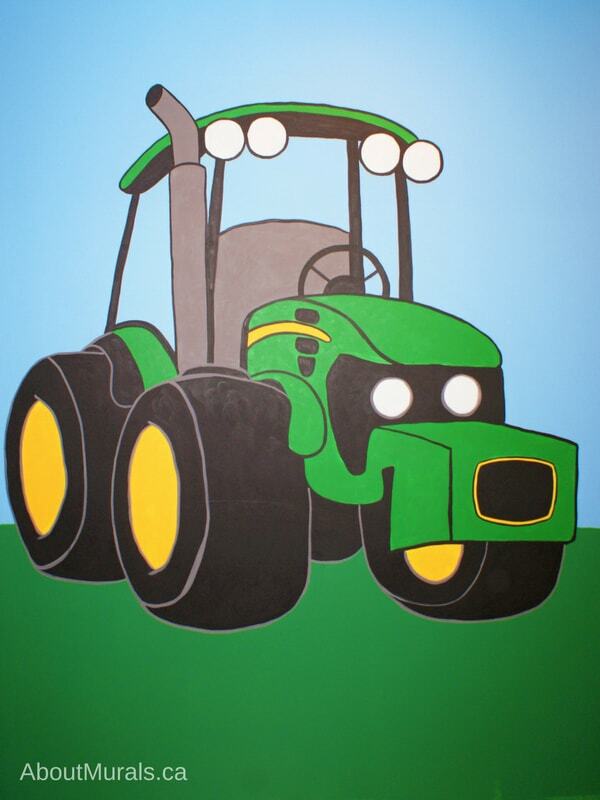 Are you thinking of adding a tractor mural into your kids room? 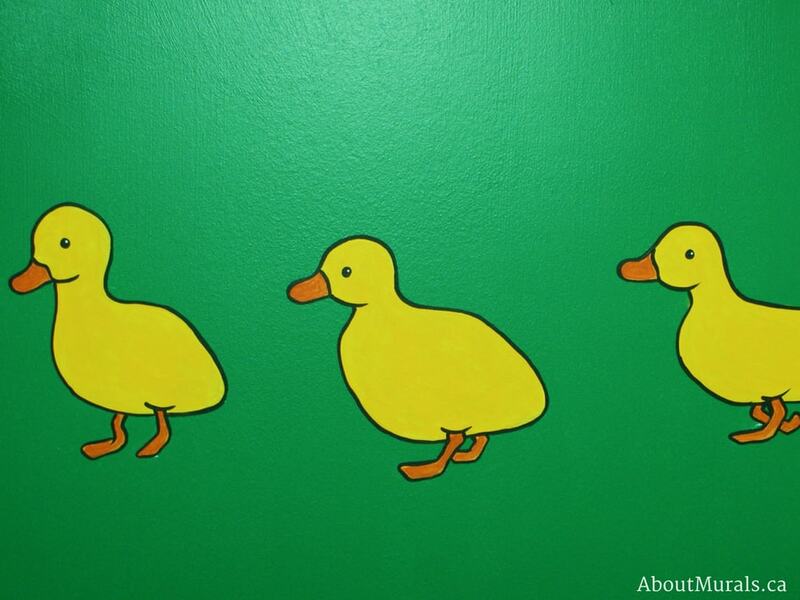 Here are some photos of the mural I painted in Rhys’ playroom to help inspire you. 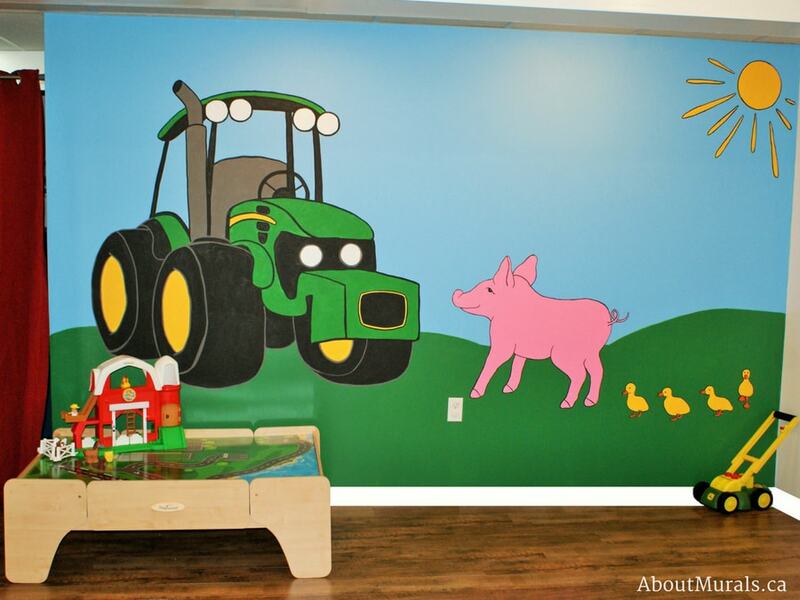 Tarin wanted to celebrate her son, Rhys’, excitement for all things farm in his playroom. She painted the green grass and blue sky (with some of my input) before I came to paint the mural. This is one way to save on wall murals…but of course it’s a service I offer as well. Everytime Rhys would drive by a farm with his mom, he’d point and shout at the tractors driving in the fields. That was the inspiration for his tractor mural. One of his fave farm animals is a pig, so that had to be added to the tractor mural. 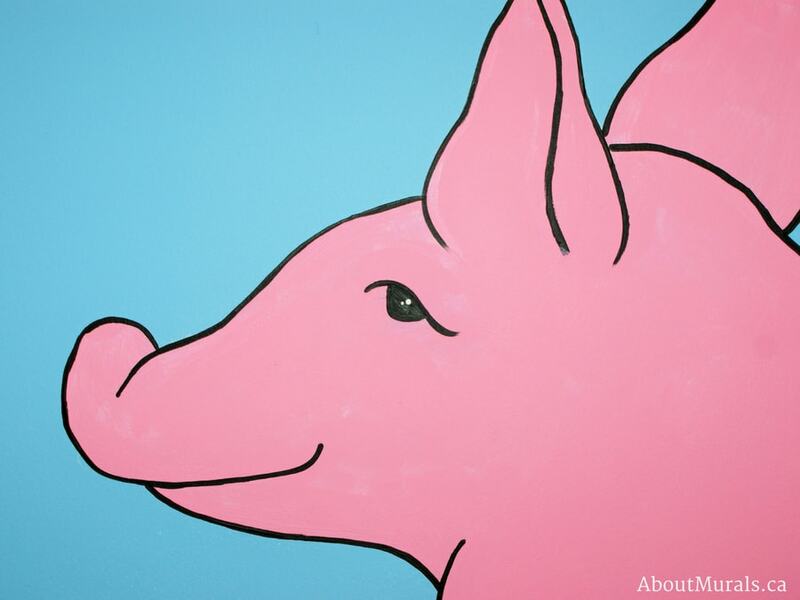 I paint all my murals with non-toxic acrylic paint and no-VOC latex paint, so it’s safe for your kids to play in their rooms – even the day I finish the mural! Ducks are his other favourite farm animal, so they were painted to follow the pig. 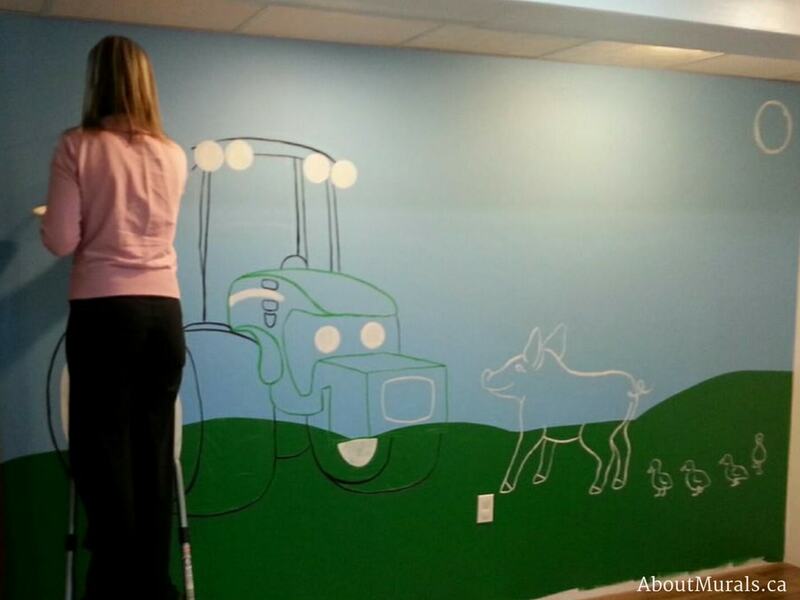 If you’re still thinking of adding a tractor mural into your kids room and you like my work, you can hire me! 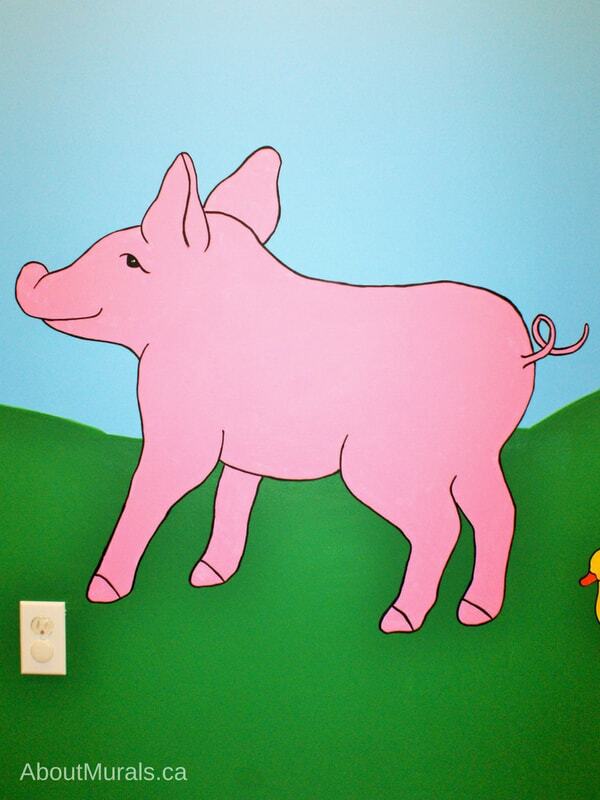 I’ve been painting kids wall murals, from Toronto to Niagara Falls, since 2005. I’ve even painted one for a Mike Holmes TV Show! Do you love hot coupon codes, DIY Tips and inspirational photos of pretty rooms? I share it all in my newsletter – I’d love to have you in my community!